The new men’s artistic director at Louis Vuitton might have taken men’s retailers by storm with his luxury take on streetwear, but Virgil Abloh’s namesake womenswear line is no afterthought. Off-White’s women’s collections take Abloh’s streetwise aesthetic and eclectic sartorial narrative and translate them to the female wardrobe. This spring Abloh lends his creative juices to a collaboration with British luxury label Jimmy Choo on a set of high-end footwear. 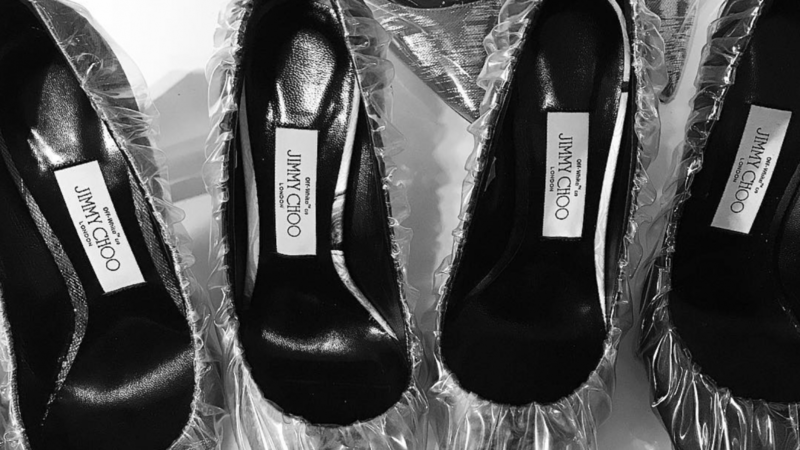 Off-White x Jimmy Choo includes stiletto pumps — some of the strappy variety — and boots of various heights, with silhouettes ranging from bejeweled red-carpet numbers to head-turning street style bangers. Off-White’s SS18 women’s show was a homage to the late Princess Diana, who herself was a big Jimmy Choo fan, and saw Abloh toy with a more delicate aesthetic than his previous seasons. This new attitude will likely carry over to the footwear capsule.